What software applications do the university have that I can install? 73. How do I use an Apple AirPort Time Capsule? See also: Who is resposible for what on the BMC network? Who can help me? See also: We need more storage! Do you have a file server we can use? See also: What should I think about when adding my own network printer? 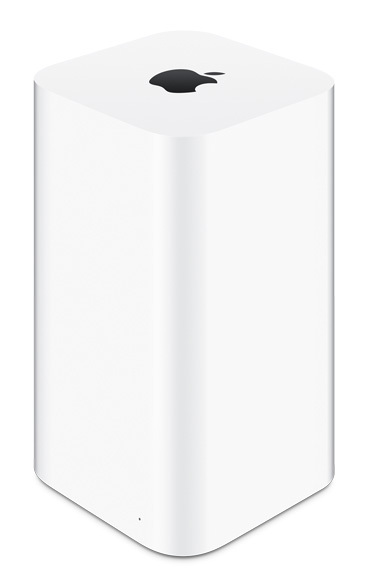 Apple Airport Time Capsule is a great tool for a home or small office, providing simple backup, Wi-Fi hotspot and NAT-router all in one. But we really recommend a normal external hard drive for backup. Keep one at home and one at work. Also be aware that a backup, where the client has full write access to the backup and can erase old versions of the backup, do not protect against ransomware attacks. The attacker may destroy old backups from the compromised client. SUNET and the Security and safety division at Uppsala University require that it is possible to identify which user is doing what on the network. NAT (in this level of home or small office equipment) is hiding this. Read the Riktlinjer för säkerhetsområdet and the document UFV 2016/1944 Anskaffning och drift av IT-system in particular section 4.4 Anslutning till universitetets datornät. Apple AirPort has built in DHCP-server. When connected the wrong way (NAT-ports) to the department network the device will give IP-addresses to the other computers on the network. This will mess up the network. In the best case (when both WAN- and LAN-ports are connected at the same time to the department network) all that happens is that all traffic will pass through the Apple AirPort which will then act as a bottleneck. In the worst case (only LAN-ports are connected to department network) nothing will work and the whole department network will go down. The Uppsala University IT-division is responsible to set up Wi-Fi-hotspots all over the Uppsala University campuses. The frequencies has been planned so that they do not interfere with each other. Even when using using a frequency that is not the same as the closest hotspot the frequency may interfere with other hotspots frequencies further away (but still in range). We have been running the backups for many clients for several Mac servers using the same technology. It has shown that, although not very often, the backups using time machine over the network may go corrupt. Then the backup is not worth much. The problems may or may not be related to the use of a flaky network adapter (in particular the USB-Ethernet adapter used by Macbook Air). By using the university centrally managed DHCP-server and routers it is possible try to help each other with management. Both the IT-division and the BMC-IT can help with finding problems with the network. When using this kind of small office / home office equipment it is really hard for somebody else to know what is going on. You are on your own. It may be theoretically possible to turn off all server functions including NAT/Wi-Fi and then secure it with accounts, but it may not be worth the effort. When doing that (turn off NAT and only do Network bridge, turn off Wi-Fi) if the settings are reset by some reason, make sure that the AirPort in a reset state do not mess up the network - only attach the WAN port to the department LAN. The equipment is best used at home or at a small office. Turn off NAT and DHCP-functionality. Set up with account and password protection. Set up internal firewall in the equipment so that no one outside the department network can access it. Set up the campus router filter so that no one outside the department network can access it. Actually set up both internal firewall and router filter if possible. Make sure that the firewalls are working. Make sure only the user creating the backups can access them. This list is not guaranteed to be complete. Our suggestion is to move the equipment to the home office for a backup when working at home. Then get another hard drive for the office. If you need better Wi-Fi coverage contact helpdesk@bmc.uu.se and then we can together with IT-division hopefully improve the location and coverage of the Wi-Fi hotspots. Get a normal hard drive and use Time Machine on that one. Get a hard drive at home and one at work. This will take hopefully a backup of the whole computer on two different places. Store important data on a file server. Like the HNAS file server at the university.